I had fun while making this digital scrapbook page yesterday with Adobe Photoshop. One reason was because of the hobbies I entered on the scrap page. This is actually a baby biography and if you are a parent, a mom or a dad, this will be a great page for your baby or babies. 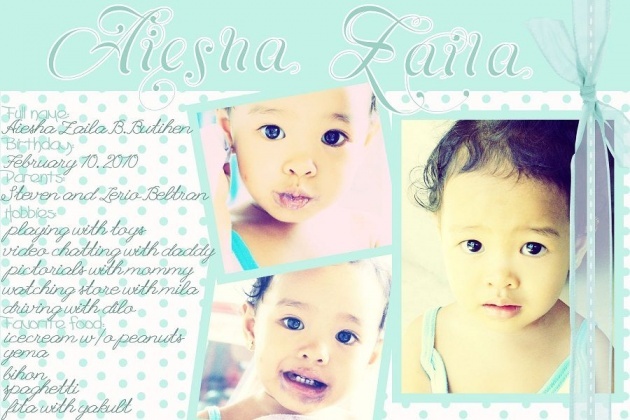 I am planning of printing all of my digital scrapbook ideas or photo template withAiesha as the photo on it and give it to her on her second birthday, it will be great if she will see that scrapbook when she grow up also. 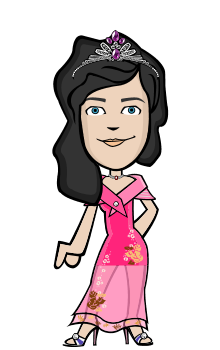 If you want to create something like this as well, you can grab like our Facebook page then download the set! Fonts used here are Parfait Script Pro for the title, Ashley for the items like full name, birthday and etc. and League Script Thin for the info.